Beistle 50608-B Cheerleading Beads. 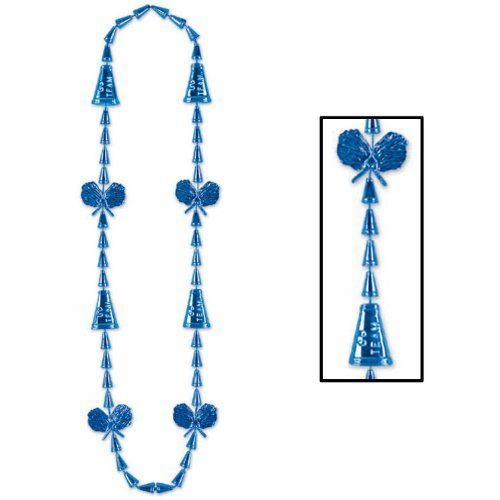 The blue cheerleading necklace contains megaphone and pom pom beads. The necklace is 36 Inch long. 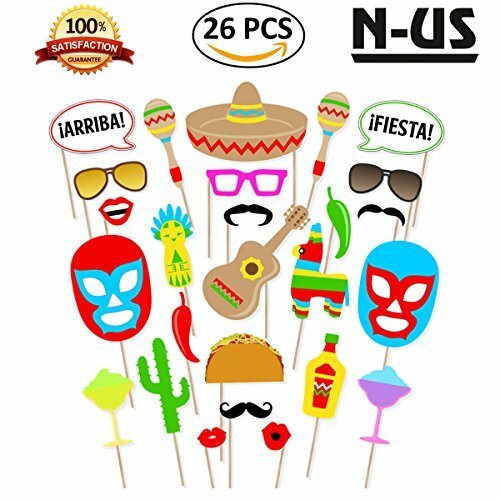 Cheerleading Beads - 33 Inch - (Assorted Colors) (6 Per Pack). As shown. 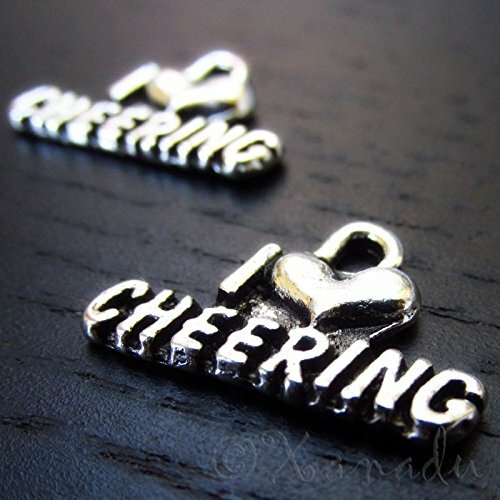 Show your pride to be a cheerleader with these Cheerleading Beads! 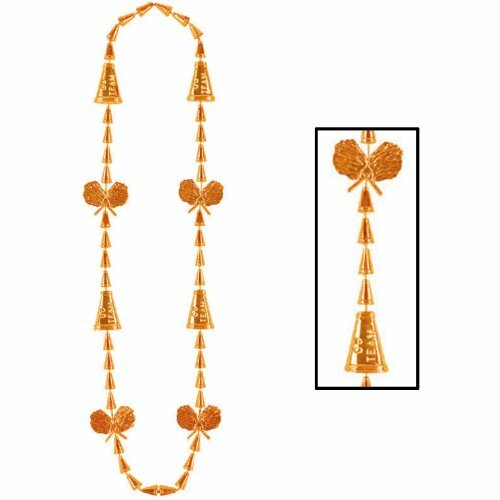 The necklace measures 36'' long and is made of plastic orange beads. 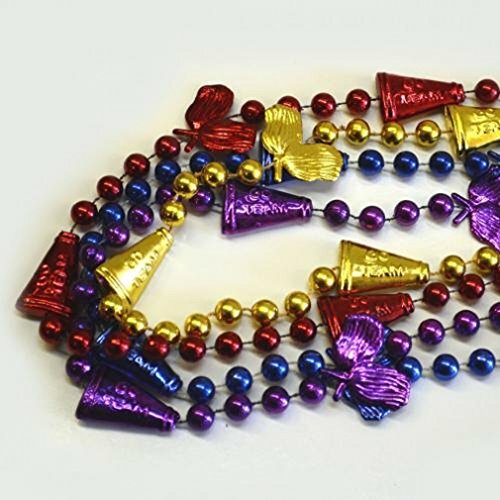 Some of the beads are shaped like megaphones and pom poms. 1 necklace is included per package. 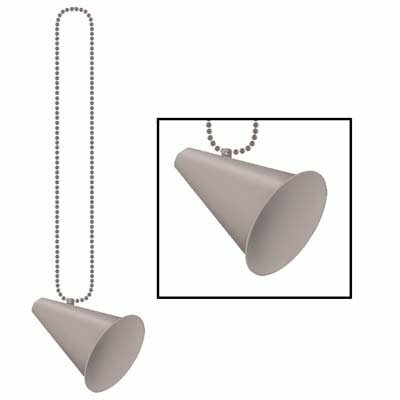 Beistle 50243-S Beads with Megaphone Medallion. This necklace of silver round beads has a silver megaphone medallion attached. The necklace is 33 Inch long. Beistle 50608-R Cheerleading Beads. 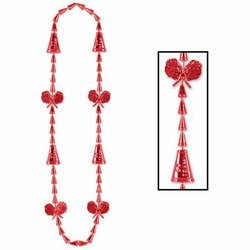 The red cheerleading necklace contains megaphone and pom pom beads. The necklace is 36 Inch long. Beistle 50243-G Beads with Megaphone Medallion. 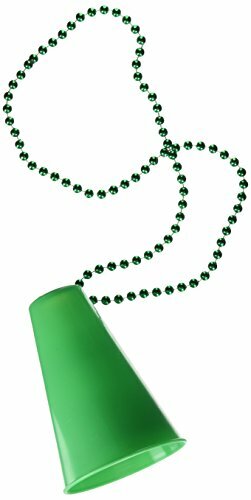 This necklace of green round beads has a green megaphone medallion attached. The necklace is 33 Inch long. Beistle 50243-O Beads with Megaphone Medallion. 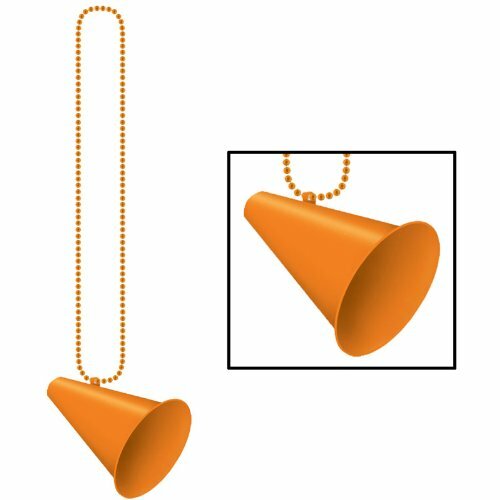 This necklace of orange round beads has an orange megaphone medallion attached. The necklace is 33 Inch long.